A Copper Beech House is a traditional irish B&B overlooking Lough Atalia and just 4 minutes’ walk from Galway city centre.There is a guest lounge with fireplace and a piano. Breakfast can be served on the terrace. 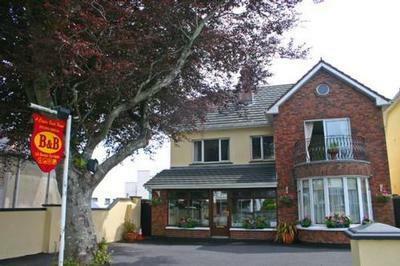 Welcome to the A Copper Beech House B&B Galway. Our Guet house is located just 4 minutes' walk from Galway city centre and overlooks Lough Atalia. There is easy access to the ferries to the Aran Islands. It is 700 metres from Galway Ceannt Railway Station and 8 km from Galway Airport. The guest house offers en suite rooms, free Wi-Fi and free parking and lounge with a fireplace and a piano. Breakfast can be served on the terrace, in the dining room or in the room. For more information or to check the availability of this B&B in County Galway please click on the availability link above and below. Located just 4 minutes’ walk from Galway city centre.